Dandong Dongfang Measurement & Control (DFMC) provides production handling and whole-process automation solutions for industrial production processes in mining, metallurgical, building materials, paper-making and chemical industries. The company uses innovative technologies and software to develop a range of measurement and control products, as well as large-size application programmes to enhance the automation and digitalisation level of metallurgical and mining operations. DFMC offers a wide range of industrial technologies for the mining sector. These include global positioning satellite (GPS) scheduling, geographic information system (GIS), neutron activation, X-ray fluorescence, nuclear magnetic resonance, ultrasound, infrared, microwave and radar. Additional systems include digitalised mine, enterprise resource planning (ERP), manufacturing execution systems (MES), de-dusting and other fields. The company offers advanced level industrial online detection analysis instruments, which can be applied to analysis and detect parameters in the productive process such as the element composition, particle size, concentration, moisture, ash and liquid level. Available solutions include automated systems for controlling water content, dosing and heat optimisation, as well as flotation separation and dewatering applications. Since 1996, DFMC has 72 types of inline industrial detection instruments and apparatuses across 12 categories, as well as acquired 48 invention and utility model patents. The company’s online and inline detection instruments are designed to analyse an array of components such as cement and slurry elements; ash, neutron and microwave moisture, as well as radiation. DFMC offers a wide range of digital systems to facilitate and automate industrial mining processes. Capacity measurement systems and intelligent vehicle-mounted terminal products are available to calculate loads across a wide range of transportation methods such as rail vehicles, bulldozers and heavy-duty trucks. GPS fleet management systems are also available for open-pit mines implement advanced technology to enhance mine management and production. DFMC’s mine-wide wireless mesh network coverage systems provide operators with broadband access in any location, converting moving vehicles into a mobile office. DFMC’s security detection solutions enable mine operators and owners to detect potential on-site risks such as unattended explosives and faulty hydraulic equipment. The company’s range of security systems include ventilation control and measurement, tailing pond safety monitoring, slope stability detection and its KJ521 personnel management solutions. Established in 1996, DFMC is the professional supplier of mining industrial production information solutions, and has successfully provided optimise information solutions for more than 200 mines. The company aims to help clients improve production efficiency and sustainable development. Based on the embedded fully automatic online detection system, the microwave moisture analyzer made by the company can solve the problem of traditional manual sampling test, which provides delayed data, and serve as the link in the automatic control of industrial processes to provide continuous and reliable moisture data while achieving real-time and accurate monitoring on moisture. 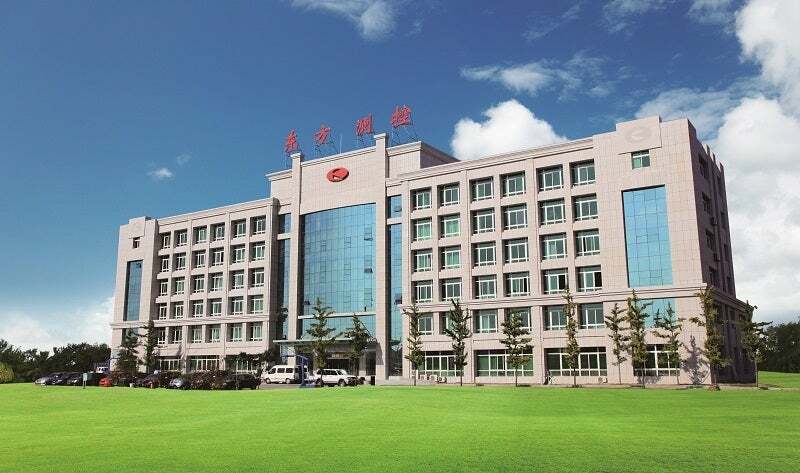 Dandong Dongfang Measurement & Control Technology Co.,Ltd.